LeoSat Enterprises has been awarded the authority by the U.S. Federal Communications Commission (FCC) to provide NGSO (Non-Geostationary Satellite Orbit) services in the United States. The increasing demand for business connectivity and with it the need to move large quantities of data quickly and securely around the world is fast outpacing the infrastructure in place to carry that data. Existing networks are already carrying more than 1 Zeta Byte of traffic globally and this is set to grow exponentially. The FCC market access grant will allow LeoSat to address currently unmet demand for high-bandwidth, low-latency, high-security data transmissions from large commercial and government customers in the United States. 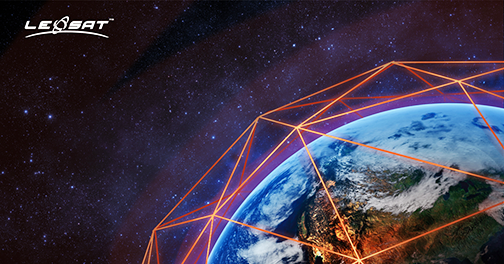 Designed as a backbone in space for global business, LeoSat’s data network will enable new opportunities for sectors such as enterprise-to-enterprise communications, telecommunications, oil & gas operations and maritime services, delivering premise-to-premise high-speed data (greater than 1 Gbps) with unmatched security to any location in the world. Moreover, while LeoSat's core focus is solving essential business communications challenges, the unique design of LeoSat’s constellation means capacity will also be available to enable a new level of connectivity services for Internet and cellular backhaul for remote and underserved communities. 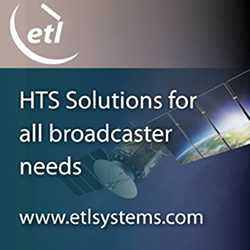 Using optical inter-satellite links and on-board processing and operating in polar orbits at an altitude five times closer to the Earth than MEO satellites and 25 times closer than GSO satellites, the LeoSat System offers numerous advantages with respect to high throughput, low latency, and full global coverage. According to the company, these advantages, in turn, will allow LeoSat to provide enterprise-grade, highly secure data transmissions with up to 1.2 Gbps of full-duplex connectivity per link (and 5.2 Gbps where needed), along with low latency of less than 20 ms. The high-throughput satellites will form a mesh network interconnected through inter-satellite laser links, creating an optical backbone that is approximately 1.5 times faster than terrestrial fiber networks. For Enterprise and Government customers, the key attributes of the LeoSat system fulfill a critical communications need, for example, by giving banks, governments or research centers ultra-secure networks with global offices, providing significantly more bandwidth for oil & gas and mining exploration than is available today, enabling seamless connectivity for shipping & fleet management, or providing primary 4G and 5G satellite backhaul connectivity for cellular operators. LeoSat’s CEO, Mark Rigolle, said that obtaining approval from the U.S. Federal Communications Commission — among the world’s most sophisticated radio frequency regulators — is an important milestone for LeoSat and recognizes that the company has a unique solution for high-speed and ultra-secure enterprise connectivity. The company is delighted with this significant step forward as the firm continues to make excellent progress on the company's journey to deliver the world’s first business backbone in space, opening-up new markets for data networking, telecoms, enterprise and government communications across the globe.